Photo: Mitchell Reardon (@MitchellReardon on Twitter). The following post was written by Melissa, on the two-month anniversary of our family’s arrival in the Netherlands. The 12th of April will mark two months since our family said out farewells to Vancouver, BC, and hopped on a plane to our new lives in the Netherlands. To many people, this move seemed like a logical step forward for a family who fell in love with the country in 2016 and subsequently spent the following years completely immersing ourselves in its history and culture. And they would be right. Since landing in our new home in Delft, we have been rediscovering what it was that drew us here. Sixty days in, it seems like an appropriate time to reflect on this epic journey and what it has meant to me. The idea of packing up my life and moving elsewhere is not new to me. Since I was eight years old, I have experienced moves that took me away from what I knew and the need to start fresh. But it would be our move from Ontario to British Columbia in 2007 that showed me it was possible to leave the people and places that were my home behind and find that feeling all over again somewhere new. Being so far from our families and friends, some of whom I’d known since childhood, was not easy, but coming through that we met new friends who became like family, and Vancouver became my beloved home. So when we were visiting the Netherlands in the summer of 2016, and Chris and I turned to each other and said, “We could definitely live here,” I knew that despite the many challenges ahead, we would come out the other side better for it. 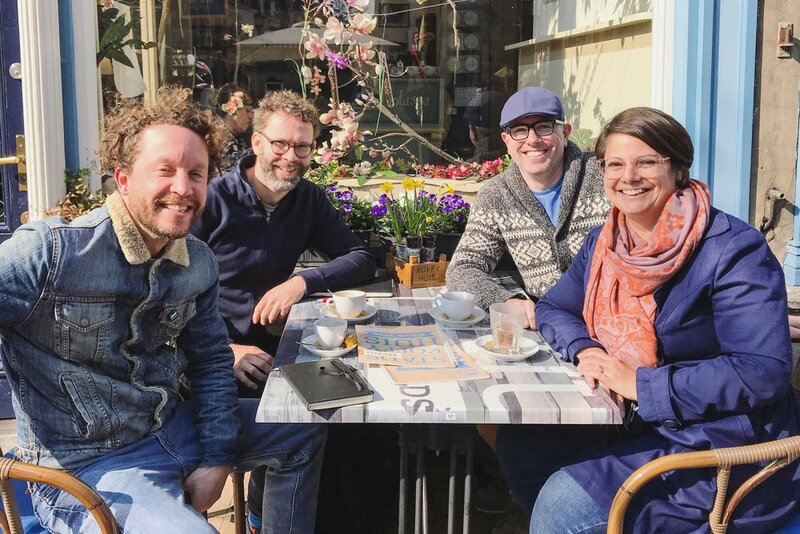 Even just two months in, we’ve mused that the Netherlands urbanist community is just as small as Canada’s, and we are already forging new connections - and enjoying some patios beers at the same time. While the internet can certainly be a dark place, we have benefitted from the positive connections it has afforded us, and helped make our landing that much softer while easily remaining in regular contact with friends and families back in Canada. The question is: has my new Dutch life lived up to the expectations? 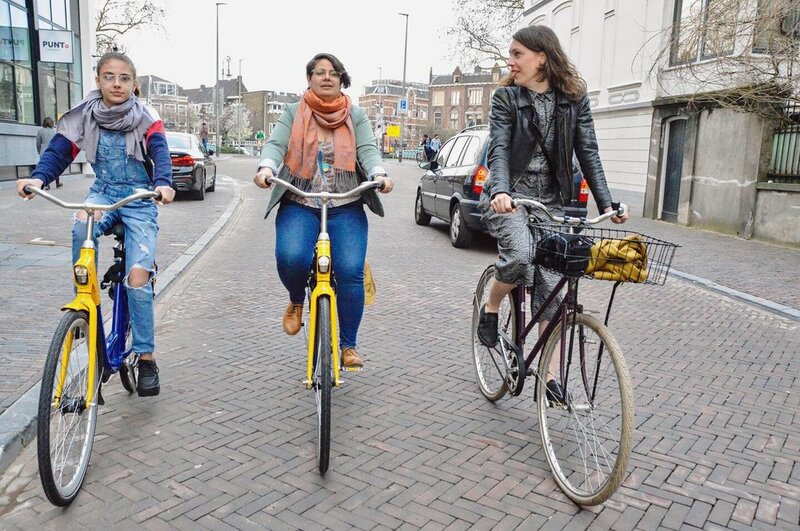 It comes as no surprise that the Dutch cycling culture is everything I have been dreaming of. As glorious as cycling in Vancouver is (I will always miss the seawall), it is impossible to describe what it’s like to hop on a bike to get to where you want to go and not feel like you’re doing something unique. No one asks me if I biked to work, or how I ride in a dress with heels; it’s just accepted that I chose the most practical means to get to where I’m going. No muss, no fuss. I won’t lie, being a part of a community bucking the trends in North America by using a bicycle—and transit, and my own two feet—to get around satiated my rebellious side. But it can be exhausting to feel like every time you get on your bike you’re making a political statement. I do hope that things keep progressing throughout North America to a point where it no longer is. But in the meantime, my anonymity on Dutch streets comes as a relief and I am revelling in it. Our move here has affected me in more profound ways that my mode of transport, and it shows up in the most benign activities, like shopping for food. For years, I’ve come accustomed to planning my shops one-to-two weeks at a time, or as Chris and I called it, “Doing our big shop.” The stress I experienced creating those meticulous meal plans and extensive grocery lists grew to be something I dreaded. With no fewer than five grocery stores—and all manner of shops—located within a 5 to 10 minutes walk of our home, and an affordable public market two days a week, I am not creating two-week meal plans anymore. Instead, I stock up on key staples and buy only what I need for meals for the next couple of days, knowing if I need something in a pinch, I don’t have to go far. It may seem so insignificant, but the simplicity of going with the flow nowadays is pretty freeing, and is only possible living in a place that makes it possible for me to do it in the first place. Planning connected communities really cannot be undervalued, and has a profound affect on our quality of life. Most impactful, though, has been seeing that my reasons for wanting to move here to make things better for my children has—in fact—been exactly what I hoped for. During our trip here as a family in 2016, we began exploring giving Coralie and Etienne a little more freedom to explore outside of our watchful eyes. Moving here, I hoped to see them push their limits even more and become more independent. Within a month, Etienne was making the 3 km. 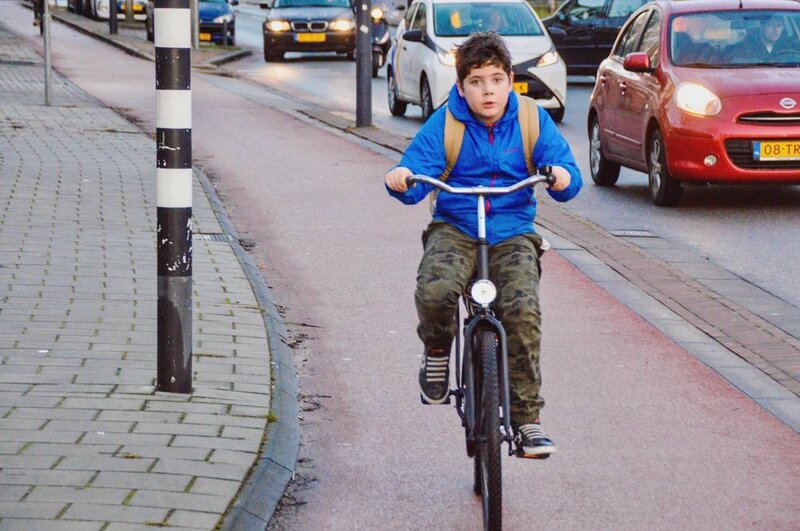 trip home from school by bike all on his own—just like his peers—and riding to meet up with friends without my planning it in advance. For Coralie, we see her gaining confidence in her ability to navigate her new home, although she’s the first to admit she’s a little directionally challenged, frequently travelling into the city centre to meet her friends, and simply letting us know when she’ll be home. I think many of us who grew up in the 80s and 90s take for granted the independent childhoods we enjoyed. So the pride I feel for my kids who are so quickly embracing a new culture of freedom, and the confidence they exude as a result is immeasurable. Am I still a nervous mom? Sure! But if I never let them explore their boundaries, I will be doing them no favours for the future, and recognize this move has been a step in allowing them these opportunities. Being very much still in the honeymoon stage, I realize that I am looking at things through rose-tinted glasses, but so far, this definitely feels like the right step for not just me, but my family. 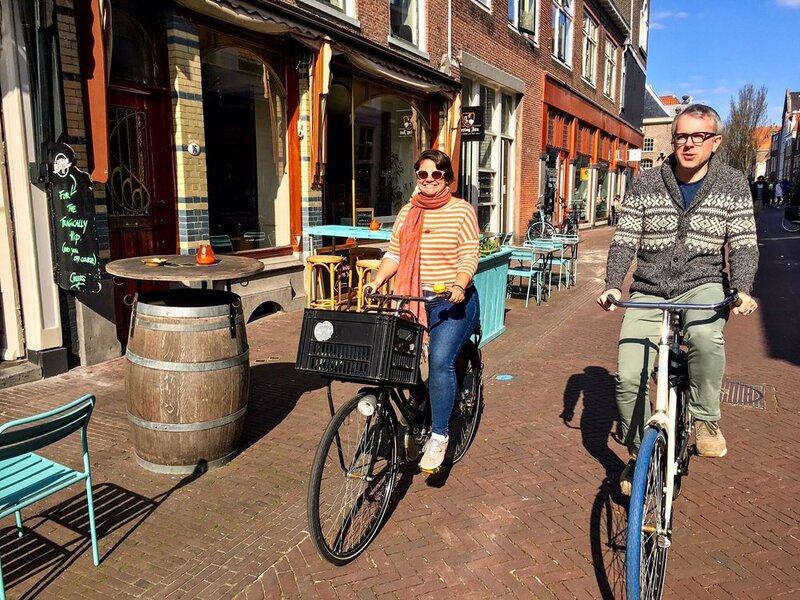 It has by no means been easy—as anyone who has ever moved to a different country will attest—and we know things are far from perfect in the Netherlands. However looking back and reflecting on our experiences before and after the move, I am left feeling very hopeful for my new Dutch life and the opportunities for growth it will present. In the meantime, I’m just going with the flow and seeing where this adventure takes me next.